1. How to allow users to access the site only from certain countries (eg the United States and Canada). 2. 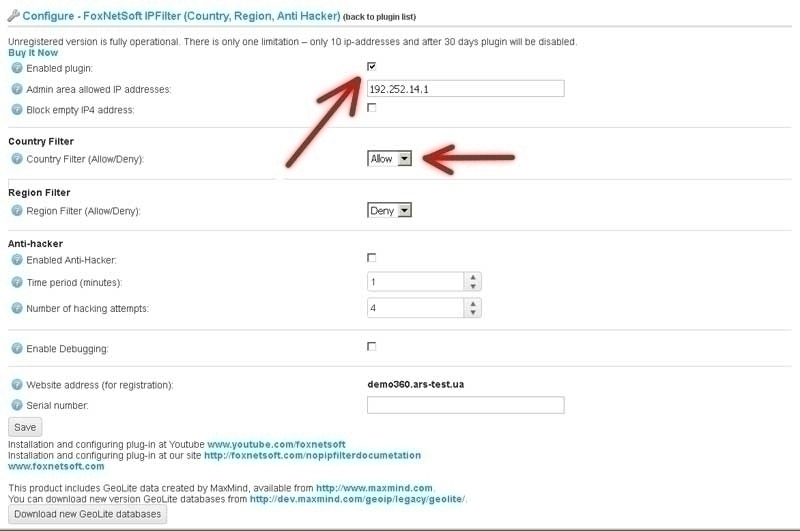 How to upgrade IP address database.